We own some of the most up-to-date machinery and equipment to ensure that our operations run as smoothly and efficiently as possible. Owning the machinery also means that we are not reliant on hire centres or third party companies to complete the work. Timber Trailer: Our timber trailer is capable of carrying eight tonnes of timber or cordwood and is fitted with a Patruuna 860 crane and timber grab capable of lifting over a ton and has a 6.5 metre reach. Wood Chippers: Our larger tractor mounted wood chipper has a feed opening of 14” x 12” (36 cm x 30 cm) making it capable of handling large diameter timber or awkward shaped brushwood which, once chipped, is suitable for clean wood chip or garden mulch (please see our products page for more information). We also have a smaller trailer mounted wood chipper with a feed opening of 6” x 6” (150mm x 150mm). Stump Grinders: We have three sizes of stump grinder. Our compact pedestrian grinder is great for accessing those hard to reach stumps and can gain access to most back gardens, requiring an access width of just thirty inches. 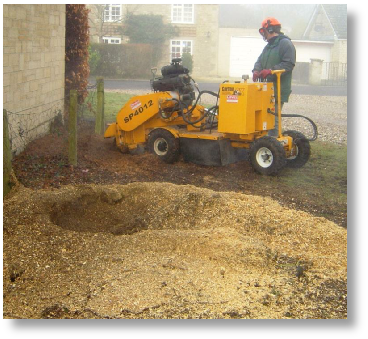 Our mid-sized grinder is a hydraulically powered, four-wheeled self-propelled unit capable of removing larger garden stumps with the push of a lever, taking all the back ache out of removing those large tree stumps by hand. Our largest stump grinder is tractor mounted. With a cutting depth of 24” (61 cm) below ground using 40 stump cutting teeth on a 30” (76.2cm) diameter wheel and a cutting slew from one position of 78” (2m), it is capable of removing massive stumps in minutes. 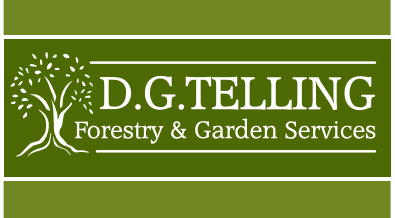 Please click here for more information on our stump removal services. 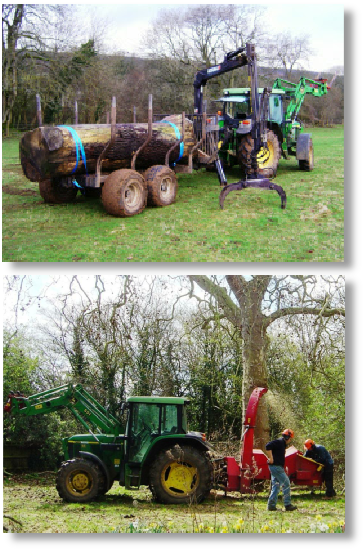 Log Splitter: Our tractor mounted log splitter is fully hydraulic, using its hydraulic log lift to hoist the logs into the splitting channel before splitting them using a hydraulic ram with 40 tonnes of force. The log splitter can take cordwood of up to 1.2 metres long, the split lengths can then be stacked for seasoning or re-split to achieve a smaller diameter log. 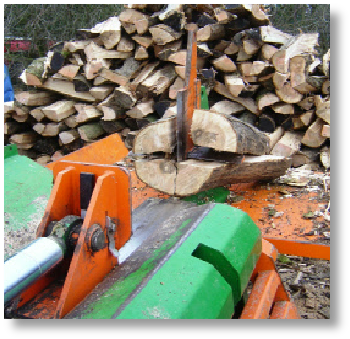 This log splitter makes firewood production easier; please click here for more details on the firewood we can supply to you.